In Australia Ernst was called ‘Little’ Ernst to distinguish him from his cousin Ernst, a son of Peter Zwar. Ernst was born in Saxony after three of his uncles had gone to Australia. Both of his parents died at a young age. Ernst had a sister Maria. [I am not sure which one was the eldest as I don’t have his date of birth. On handwritten ‘trees’ he is usually listed first.] After the death of their parents they were brought up by their Uncle Karl in Saxony who was their godfather. Maria says he treated them as his own family. When Michael Zwar went back from Australia and visited his relatives in Saxony in 1878 he strongly encouraged Ernst and Maria to emigrate to Australia. Maria remained behind, and later regretted her decision. 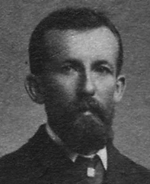 Ernst went to Australia in 1880. “Ernst Zwar lived on the Booboorowie Station in South Australia and was permanently employed there as one of the permanent staff. The station had a large woolshed. 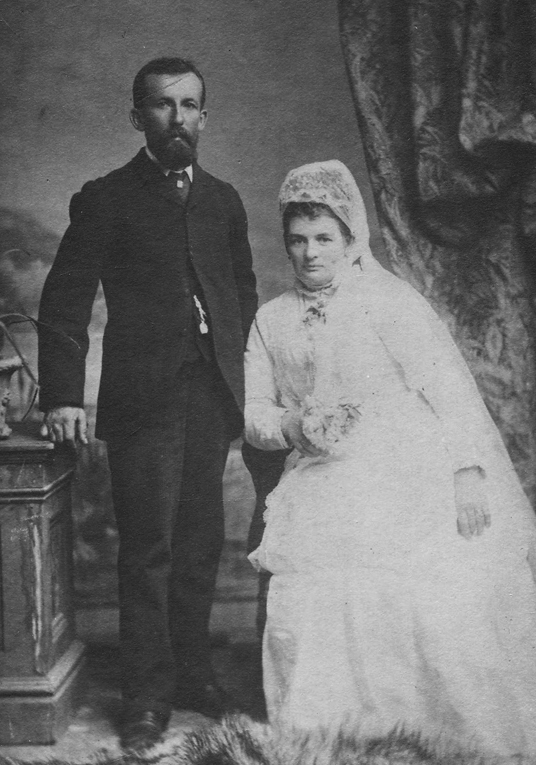 Ernst Zwar and his wife, Hannah. Ernst passed away in 1912 aged 58 years, leaving his wife and a daughter, Rita. Hannah survived her husband Ernst by 20 years and died in Adelaide 1st September 1936, leaving a daughter Rita. The Burra Herald, 8 Sept 1936.